Business Description : We offer and custom manufacture concentrated seasonings and seasoned Ready packs to meet the Sub-Saharan African processed meat, retail, catering and general food industries’ flavour and food enhancement requirements. Our Ready packs (blends of spice, flavourings, food additives and ingredients) are designed to assist with streamlining processes in preparation, consistency of finished products and maximising profits. Our qualified food technologists and scientists are continuously researching and developing products to meet the various demands of the market place. 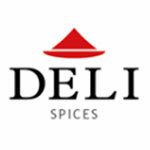 In 2017, Deli Spices entered into a strategic partnership with MANE, one of the largest flavour and fragrance companies in the world. This relationship presents exciting opportunities for innovative offerings to our customers and to the industry.